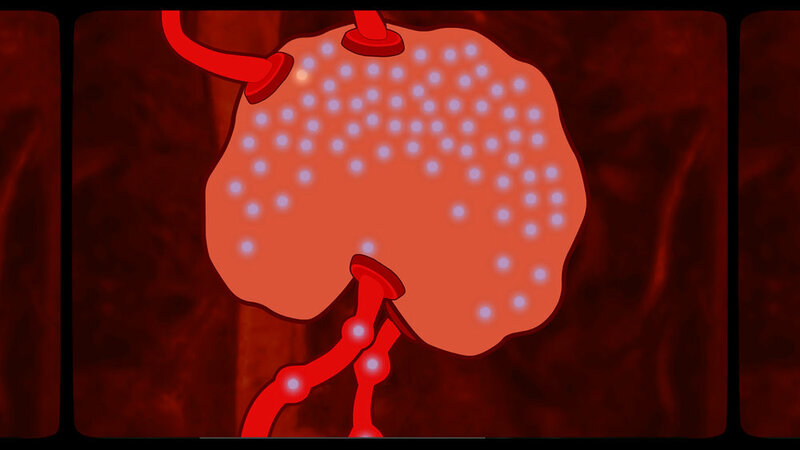 These are selected scenes from a 17 minute animation we made for Rheuminations in 2004. The concept was to explain what is happening in the body of someone suffering from the effects of Lupus. The challenge was to do it in such a way that appeals to children, but is not so comic that it turns off adults.